Meet The French 75. Perfect to serve at an elegant dinner party, it’s festive and fun with a touch of elegance. You’ll need fresh lemon juice, some good quality gin, chilled champagne and some simple syrup. To make simple syrup, just dissolve equal parts water and sugar in a small saucepan and let simmer until thick, about 15 minutes. You can also pour the mixture in a blender to help it thicken faster. 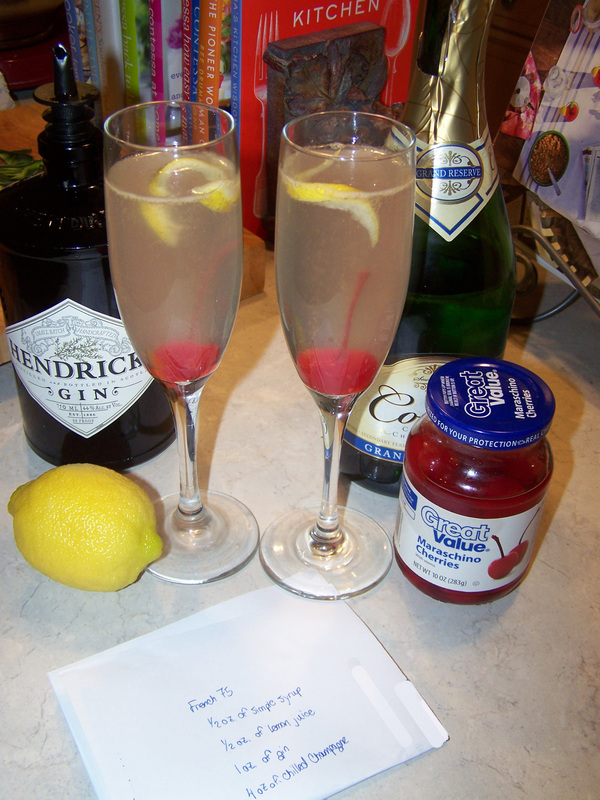 Don’t forget the garnish–a maraschino cherry and a twist of lemon. It’s cold and I love how it fizzles.